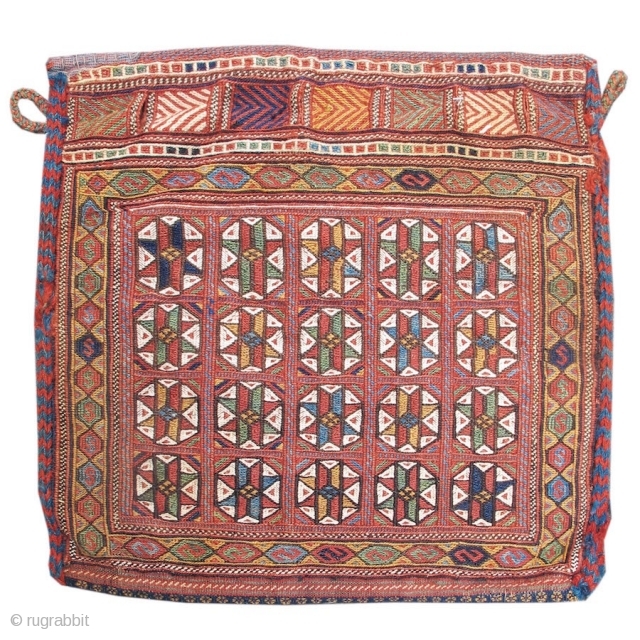 This exceptional Afshar sumak bag draws colorful diagonal rows of eight-pointed stars within octagons set against a rose madder ground. With crisp drawing and superb contrast of color, the effect is reminiscent of cloisonné work. The border draws a series of hexagons that are punctuated by a ‘s’ motif. This border type, having most likely originated in sumak technique, can also be seen in small pile weavings from several east Persian tribal groups.